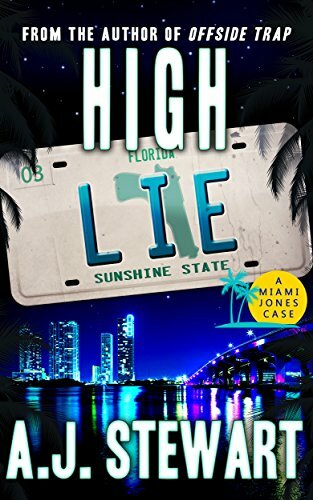 ˃˃˃ “Put Spenser and Travis McGee together, and you have Miami Jones…” – Amazon reviewer for the Miami Jones series. Q: Why a Florida mystery series? A: A lot of things came together to make the series happen. Of course I always loved Florida mystery novels, there’s a whole lineage of them. And all those crazy Florida adventures of and Mssrs Hiaasen and Dorsey and co. My family moved to the Sunshine State, and everything about the place made me want to create a bunch of fun loving characters. The kinds of people you’d love to share a beer with, in a casual place with a plate of smoked fish dip. But the kinds of folks who live by their convictions – salt of the earth you might say. There’s a lot of folks like that in Florida, along with more whack jobs per square miles than anywhere I’ve ever been. Q: Who is Miami Jones? Is he you? A: He’s not me, let’s start there. He’s got a bucket load more bravado than me. But he’s a thinker. His baseball career didn’t define him, but it did help form him, and I wanted to explore that side of it – the fact that most college sportsmen and women don’t go pro, and those that do mostly don’t last, and somehow that gets looked on as a sad thing. Miami doesn’t believe it is. Pro sports taught Miami to fake it until you make it, but at the same time to never believe your own press. Mostly he doesn’t. He’s too cheeky by half, but don’t we all like the idea of serving up a good one liner when we don’t really have the guts to do it? He’s not one of these private investigators who shoot to kill without repercussions. He feels bad when he acts bad, but it doesn’t stop him doing it if required. Q: Is he a hard boiled detective? A: I call him soft boiled. It’s what happens to normal people when left out in the Florida sun. He calls them as he sees them, but he’d never call his girlfriend a dame. She’d tear him a new one if he did. Q: There’s a sports theme in the series. Is it a men’s adventure? A: Yes and no. Lots of ladies enjoy sports so that doesn’t mean anything. But the sports are infused in Miami’s thinking, rather than being pervasive in the stories. More than half of my readers on my email list are women, so it might be a men’s adventure, but it’s not just for male readers. Q: Speaking of women, Miami’s girlfriend knows how to handle him. A: That she does. I hate those stories and movies where the love interest is nothing more than someone to serve the martinis. Danielle is Miami’s equal in every way. She’ll out think him most days, and she even has his measure in most physical endeavors. But she’s still a woman, so she doesn’t see the world in the same way as Miami and ‘the boys’. And that’s a good thing. Q: Will we see her in her own private eye series? A: No. For a start, she’s not a gumshoe, she’s a sheriff’s deputy. She believes in the rule of law and doing things by the book. Mostly. That creates some tension between them because Miami can be a little too keen to go off reservation. Danielle would be in a police procedural, and I’m not sure that’s somewhere I want to go. But I like her, so maybe one day she’ll have a wicked sister who becomes a bounty hunter.